TCS Research Fellowship Scheme is open to those students who are eligible for a PhD, and it is only valid for those students applying for a fresh PhD program and not for those who have already been admitted. The fellows will receive a monthly stipend for up to 4 years and a one-time contingency grant of Rs. 1,00,000 for meeting incidental expenses. Applications for the TCS Research Fellowship Scheme are received two times in a year the deadlines being July 15 and December 15. Academic Qualification: The student should have secured the first class in all examinations since school. Candidate should have registered as full-time students in the institute/college where the PhD admission is being sought. This fellowship may be taken in addition to the PhD scholarship that the student receives from other sources. Stipend: A stipend of Rs. 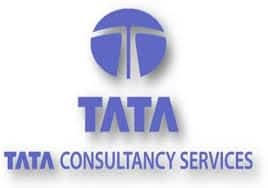 18,000 per month will be paid by TCS for the first two years and Rs.20,000 per month for the next two years of the scholarship. Support to the TCS Research Scholar: The Scholar gets a chance to participate in one International Refereed Conference, held outside India, during the four-year period. Support for the guide of the TCS Research Scholar: The Guide gets a chance to participate in one International Refereed Conference, held outside India, during the four-year period. Contingency Grant: A one-time contingency grant of Rs. 1,00,000 to the institute for every student enrolled as a TCS Research Scholar in order to meet any incidental expenses. Visit(s) & Interaction(s) of TCS Research Scholar to TCS Innovation Laboratories based on project’s needs. Applications for the scheme should be routed through the institute in the format mentioned below.